For many in America, the revolts and protests of Egypts are worlds away, both physically and emotionally. These events are only brought close by images on the internet, videos streaming on the television and words ripping through the newspapers. But for Tamer Shaaban, a fourth-year CS major, the strife of his homeland was brought that much closer when he realized his family and friends were still in Egypt as the citizens’ rage broke out on Jan. 25. The fear and the initial lack of public interest outside the Middle East inspired Shaaban to publicize the turmoil in Egypt and to speak to peace and human rights. Limited to the passive activity of scouring the internet for information as he awaited the safe arrival of his sister and other family members to America, Shaaban found one particularly inspiring YouTube video. The video described a poverty-stricken man who was frustrated with the Egyptian political structure, as he could not even feed his own children. “I wanted everyone to understand what that man was feeling,” Shaaban said of the emotions that initiated the creation of his own YouTube videos. The first of the two videos takes pictures and clips from the Egyptian protests, as Shaaban felt the first few days of the protest were not covered effectively on news networks outside of Egypt. At the beginning of the process, Shaaban hoped to garner enough support to convince other governments and the United Nations to do something. With many dead and billions of dollars down the drain, Shaaban disapproves of the countries who have been watching instead of acting to get President Hosni Mubarak out of power. The second video is more personal, as it features not only similar clips, but also several Tech students who say, “I support Egypt,” “I support peace” and “I support freedom” in several different languages, to reflect international support for Egypt’s plight. “Together, our voices can shake the world. Egypt, I support you. The world supports you,” Shaaban said in the second video. Receiving over 1.7 million views across different channels, Shaaban’s videos have appeared in various forms on Al-Jazeera, Huffington Post, CNN, Twitter and Reddit. Shaaban even appeared for an interview on the Canadian Broadcasting Centre, a major Canadian news network. Shaaban’s videos have elicited hundreds of positive responses from across the world. One well-wisher from the UK hoped that he could meet Shaaban one day and that they could stand by one another to change the world together. Another e-mail sender previously disliked Muslims in America but appreciated the video for portraying Arabs as humans. While Shaaban has not received any directly negative response, the YouTube videos have been blocked in Saudi Arabia, China, Jordan and Lebanon. However, many viewers ripped and reposted the video to YouTube and other online locations to continue to spread the message. Shaaban noted that when Al-Jazeera aired the videos, political analysts began to question the creator’s identity and what his agenda could be in making the video could have been. However, one analyst simply described it as “kids from college trying to show support [for Egypt],” according to Shaaban. “My life goal has been to bridge the gap between the East and the West,” Shaaban said, believing that his video is catalyzing that process but noting that he is not a political activist in any way. “I have stayed away from politics, religion and race. [I’m] only trying to show people’s struggle for freedom and human rights,” Shaaban said. With the civilian death tolls rising over 100, Shaaban lost a family member to the protests, making the situation even more personal than it had already been. “[But] what better reason to lose life [is there] than for freedom?” Shaaban said. Shaaban was not even expecting to create a second video, let alone the third video he now plans for. 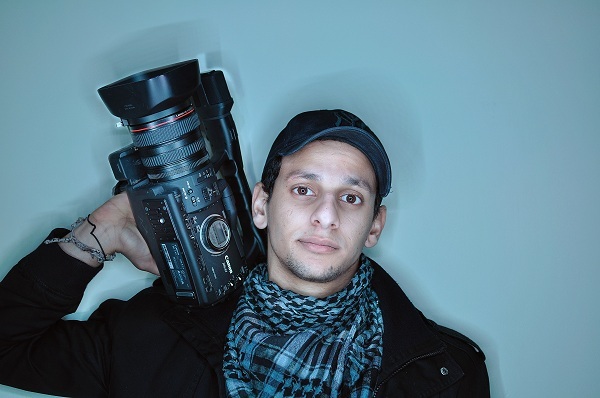 The videos can be found at Shaaban’s YouTube channel at http://bit.ly/fh21Pk.